The Jacksonville Sheriff's Office tells us that they were originally called to the area for a home burglary. Officers stopped the suspect vehicle and apprehended two suspects while a third suspect ran. 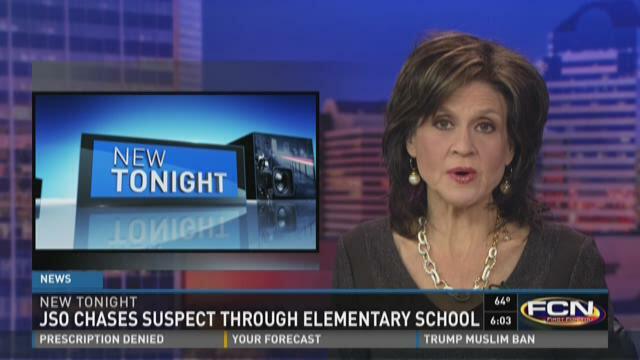 The school district tells us that the suspect ran through the school. The suspect was located by a K9 a short time later. Parents tell us that school dismissal was briefly delayed due to the lock down. School officials tell us the lock down lasted about 20 minutes. Police have not yet released the names of the suspects involved in the case.